Their son Brad has a sharp eye. 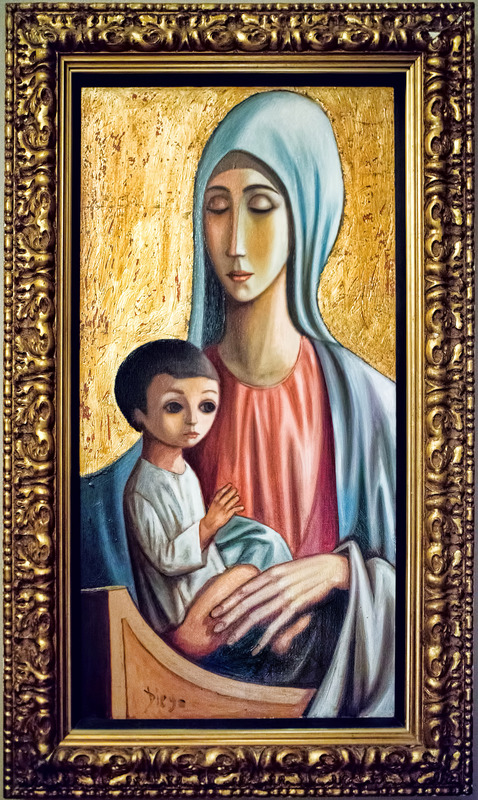 Here is the Diego Voci masterwork, “Madonna” (31″x 16″) he discovered at an Estate Sale under $1,000. Genuine #gold leaf is inlayed, similar to the techniques used by Gustav #Klimt with the famous #WomaninGold. Google “DIEGO VOCI”. And see a gallery art tour.